I will be sharing my personal journey as a filmmaker and showing a few of my short films at this talk held by the National Youth Council. Details for admission, please see below. 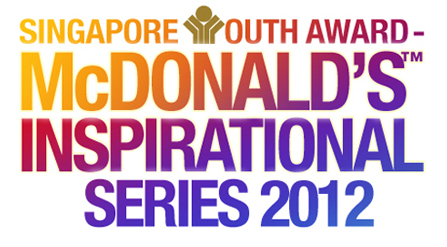 Heartware Network is pleased to announce that the Singapore Youth Award – McDonald’s Inspirational Series is back this year! The Inspirational Series presents our youths with an opportunity for self-discovery, and motivates them to aspire towards their dreams, while positively impacting on the community. These talks are held in partnership with McDonald’s Restaurants and the National Youth Council (NYC). Through a causal setting, the Singapore Youth Award (SYA) speakers will inspire our youths with their stories, hopes and dreams. Thereafter, the youths are invited to generate ideas and submit proposals for an entrepreneurial or community project on various themes. Each session is free, and there are ONLY 100 places per session on a first-come-first-served basis. We invite your school to nominate five students (Upper Secondary and above) to be part of each talk. We look forward to your community partnership!